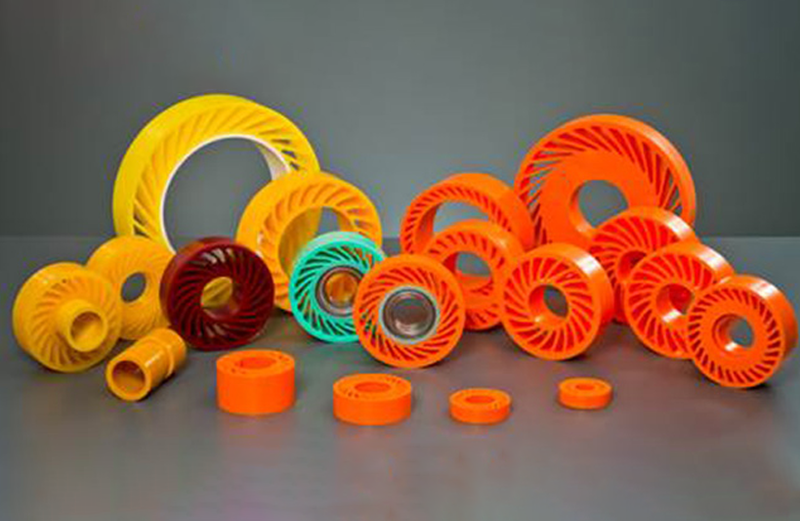 Also known as “Non-Crush Wheels” these are traditionally used in the paper and corrugated cardboard industry, they are very versatile and provide an effective way to move product through without fear of damage. They can be manufactured in a range of hardnesses from 45 shore to 95, and in colours to suit the customer’s needs all manufactured in house most of the time from our pre-existing moulds. Within this range of products we can also offer feeder rollers, anvil creasers and creaser rings.